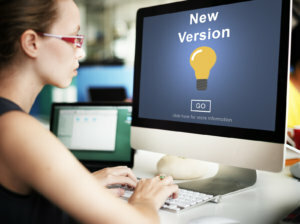 A new version of Plus Technologies’ print spooling software for UNIX and Linux has completed QA and is now shipping. OM Plus Delivery Manager (DM) Version 2.9.x includes new features and restructures some of the systems underlying processes to improve efficiencies and makes the changes needed to be compliant with new Epic 2018 architecture. Application Identification – App ID is a unique document ID passed to DM by application software systems (e.g. Epic) at the time of spooling as part of the metadata for each job. DM Scheduler Enhancements that improve system performance and capacity. Enhancements to shared memory to expand the amount of metadata stored for print jobs. Version 2.9.x is shipping for UNIX and Linux and is currently in QA for the Windows platform. The Windows version will include an IPP receiver which allows DM to receive print jobs via the IPP protocol. This new feature allows is required by Epic 2018. In addition, IPP positions DM to provide print spooling in cloud based environments.